A New York man has been charged with at least two criminal counts after authorities say he wrongfully collected workers’ compensation while self-employed. The defendant had repeatedly reported to workers’ compensation officials that he was not working at all. Documents filed with the court indicate that, during a 13-year-period, the man received more than $82,000 in workers’ compensation payments while earning in excess of $370,000. According to investigators, the defendant sustained an injury in 1990 while working at a Lockport, New York plastics factory. He sought and obtained workers’ compensation benefits, claiming that he was totally and permanently disabled, unable to work in any capacity. However, court documents indicate that, from 2001 through 2014, he recycled wooden pallets, earning nearly $30,000 a year. Under workers’ compensation law, a person receiving benefits must disclose any other income received. Based on the type of injury and the amount of income, workers’ compensation benefits may be reduced, paid for a limited time, or discontinued altogether. If you return to work, or obtain other employment, even though you have not fully recovered from your injury, you are still entitled to have medical expenses paid. It is considered fraud, however, to knowingly misrepresent that you have no other source of income. The defendant in this case was charged with both insurance fraud and larceny. At Pyrros & Serres LLP, we handle all matters related to workers’ compensation and Social Security disability claims for people across the borough of Queens and throughout the greater New York City area. We have an established reputation for providing outstanding legal services and obtaining positive results. 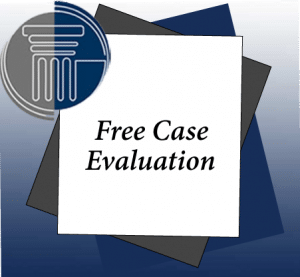 Many of our new cases come to us as referrals from clients and colleagues.